Senator Bam Aquino called on concerned government agencies and private stakeholders to work together to prevent congestion in the Port of Manila to avoid delays in the arrival of products and packages, especially from overseas Filipino workers (OFWs) to their loved ones. “Maraming pamilya ang nag-aabang ng mga padala mula sa minamahal nilang OFWs ngayong panahon ng kapaskuhan. Sayang naman kung mabubulok lang ito sa ating mga pantalan kapag may congestion,” said Sen. Bam. Sen. Bam made the call after an official of the Department of Transportation warned that port congestion may occur with the influx of goods and products from other countries as Christmas season approaches. “If you remember, two years ago the port congestion was a big headache for Filipinos in Metro Manila – delivery of goods was delayed, cargo trucks caused traffic, and balikbayan boxes remained stranded in the port. We were able to solve the problem then, but we must guard against another port congestion,” the senator stressed. During his term as chairman of the Committee on Trade, Commerce and Entrepreneurship in the 16th Congress, Sen. Bam initiated a probe on the congestion that occurred at the Port ofManila two years ago. After bringing government agencies and private stakeholders in one table, the problem was ironed out after several months of investigation. But Aquino said that the heavy volume of containers from September to December may revive the problem. “Sa ngayon, maaaring normal ang operasyon at maluwag pa ang ating mga pantalan pero baka maulit ang port congestion sa pagdagsa ng mga kargamento sa huling bahagi ng taon. Kailangan na natin itong paghandaan ngayon pa lang,” added Sen. Bam. Senator Bam Aquino calls on concerned government agencies to provide necessary support to Filipino scientists to boost the country capability in terms of research and development. “We want to make sure na ang ating Filipino scientists, hindi lang sila makabalik dito at magkaroon ng opportunities sa ating bansa bagkus pati iyong mga nandito hindi na kailangan lumabas ng Pilipinas,” said Sen. Bam during the hearing of the Committee on Science and Technology which he chairs. Aside from enticing Filipino scientists to return to the country, concerned government agencies must give them more opportunities to thrive through proper benefits and other forms of support. Sen. Bam said his committee will focus on the passage of Senate Bill No. 679 or the Magna Carta for Scientists to help address the issue. Aside from the plight of Filipino scientists, the hearing also tackled the measure providing necessary support for business startups to thrive and compete in the market. “Nakita natin na full support ang DOST, ang DTI, all of the agencies are fully supportive of this bill. 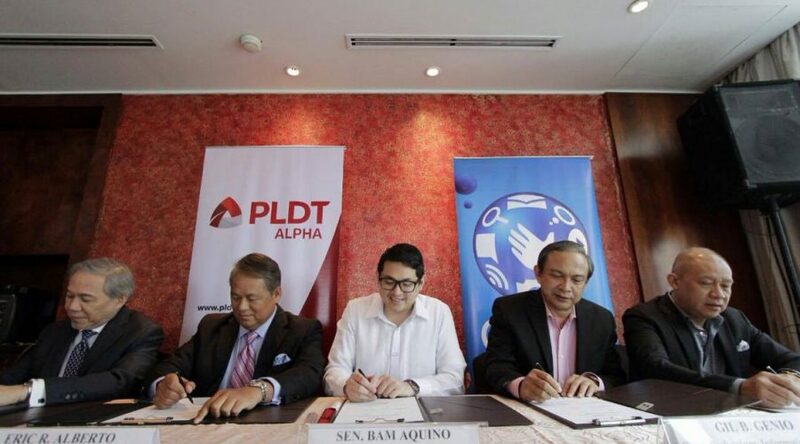 This will hopefully unlock our digital startup community,” said Sen. Bam of his Senate Bill No. 175 or the Innovative Startup Act. Among those who expressed support for the bill were Department of Science and Technology Secretary Fortunato dela Pena, other government officials and private stakeholders. “Maraming startup sa ating bansa na magagaling. They have very good ideas pero nasasayang dahil nahihirapan magsimula ng negosyo at nahihirapan sa mga regulasyon,” said Sen. Bam. If enacted into law, Sen. Bam said the Innovative Startup Act will make it easier for tech startups to set up and build successful businesses in our country. Low-income households will be supported by more m​icrofinance non-government organizations (​MFI ​NGOs) with the signing of the Implementing Rules and Regulations (IRR) for Republic Act 10693 or the Microfinance NGOs Act. ​“This law will encourage more MFI​ NGO​s to ​help the poor through ​loans and​ ​training,” said Sen. Bam Aquino, who pushed for the law’s passage in the Senate as co-author and principal sponsor. ​​MFI NGOs give Filipinos access to low-interest, no collateral loans to pay for housing, medical, and educational needs​ as well as loans for small businesses. “MFI NGOs​ aid​ our poor countrymen in times of inflation and price increases. They also provide financing and training for livelihood and small businesses so families can overcome poverty,” he added. In 2013, MFI NGO members of the Microfinance Council of the Philippines, Inc. (MCPI) had a gross loan portfolio of over 15.26 billion pesos catering to more than 2.7 million micro-entrepreneurs. ​According to Sen. Bam, the law ​incentivizes microfinance NGOs to continue helping Filipinos overcome poverty not just through financing but also through financial literacy, livelihood, and entrepreneurship training. ​​The ​law provides microfinance NGOs needed support and incentives that includes access to government programs and projects, technical assistance and exemption from taxes. ​​Republic Act 10693 was one of Sen. Bam’s 16 laws in the 16th Congress. It was passed under his watch as chairman of the Committee on Trade, Commerce and Entrepreneurship. ​The ​law’s IRR is set to be signed today, August 16, 2016. A senator has filed a measure establishing Trabaho Centers in Senior High Schools all over the country, in a bid to bridge the gap between education and employment and address job mismatch. Sen. Bam Aquino’s Senate Bill No. 170 or the Trabaho Center in Schools Act will help Senior High School graduates under the K to 12 program, who chose to enter employment find opportunities through a job placement office. The measure will amend Section 9 of Republic Act No. 10533 or the Enhanced Basic Education Act of 2013 that implements the K to 12, to include Trabaho Centers under its scope. “While we work on equipping our graduates with the adequate skills to join the workforce, let us also bridge that gap between education and employment through the Trabaho Centers,” said Sen. Bam. According to Sen. Bam, the Trabaho Center will focus on three main things – career counseling services, employment facilitation and industry matching. “Career counseling services shall be offered to help guide the students on the tracks they choose in Senior High School while Employment Facilitation is envisioned to assist the needs of a job seeker or the senior high school student,” explained Sen. Bam. Through industry matching, the needs of companies will be addressed by providing them graduate listings and resume profiling of students. The Public Employment Services Office (PESO) and TESDA will join forces to create a thorough database of job opportunities in the locality and immediately coordinate further training that might be needed based on particular employment opportunities. “Through the Trabaho Centers, the needs of our nation’s graduates, businesses in the country, and the vision of the Department of Education come together to make the most of our curriculum reform and help us move closer to shared prosperity,” said Sen. Bam. To further stimulate the growth of small businesses in the country, Sen. Bam Aquino is pushing for a measure that provides them with lower income tax rate, VAT exemption and other privileges. Under Sen. Bam’s Senate Bill No. 169 or the Small Business Tax Reform Act, all small businesses shall be exempt from payment of income tax for the first three years of its operation from date of establishment and will be subjected to lower income tax rates thereafter. As defined in the bill, small businesses are micro and small enterprises whose annual gross revenue does not exceed P50,000,000. “This bill also proposes the lowering of the income tax rate for MSEs and an exemption from VAT, among other methods of stimulating growth in MSEs as opposed to hindering it,” said Sen. Bam. The measure also pushes for simpler bookkeeping, a special lane and assistance desk for MSEs, exemption from tax audit, annual filing of returns, and payment in installment. Sen. Bam stressed the need for a simpler taxation, saying a joint study by PWC and the World Bank, Paying Taxes 2016, placed the Philippines 126th out of 189 economies in Ease of Paying Taxes. “This must change, which is why we are asserting the Small Business Tax Reform Act as a measure to simplify tax procedures and unburden our small businesses of the complex tax process,” said Sen. Bam. By streamlining the country’s tax system, it will boost the chances of our local enterprises to succeed and, in turn, generate prosperity and livelihood for more and more Filipino families. Sen. Bam Aquino believes two of his laws in the 16th Congress — the Go Negosyo Act and the Youth Entrepreneurship Act – will help address the unemployment problem in the country through the development of micro, small and medium enterprises (MSMEs). “These two laws are aimed at generating fresh jobs and other livelihood opportunities by providing MSMEs with the right support to help them grow,” said Sen. Bam, chairman of the Committee on Trade, Commerce and Entrepreneurship. “By giving MSMEs a conducive environment where they can succeed, confident that they can help generate fresh jobs and other livelihood opportunities for Filipinos,” he added. Trade Secretary Mon Lopez, for his part, said the agency will be giving an extra push in creating more entrepreneurs and registering more enterprises that will employ more Filipinos. The DTI will also focus on helping MSMEs on many aspects, in terms of money and market access, according to Lopez. Sen. Bam was the author and principal sponsor of the Go Negosyo Act (Republic Act 10667), his first law in the 16th Congress, and the co-author and principal sponsor of the Youth Entrepreneurship Act (Republic Act No. 10679). Sen. Bam’s pronouncement came after a Social Weather Stations (SWS) revealed that some 11 million adults were without work in the first quarter of 2016, about two million more than the previous quarter. The SWS first quarter poll pegged the joblessness rate at 23.9 percent, compared to 2015’s fourth quarter rate of 21.4 percent or equivalent to 9.1 million adults unemployed. It was also the highest since 2014’s fourth quarter rate of 27 percent. At present, Sen. Bam said 252 Negosyo Centers are already up and running, catering to the needs of micro, small and medium enterprises (MSMEs) in different parts of the country. The Youth Entrepreneurship Act, for its part, encourages young would-be entrepreneurs to establish their own business by providing them access to capital and other support. The law creates financial literacy modules in all levels of Philippine education, to inculcate a culture of enterprise development among the Filipino youth. Aside from the Go Negosyo Act and the Youth Entrepreneurship Act, Sen. Bam also worked for the passage of other MSME-related laws such as Philippine Competition Act, Microfinance NGOs Act, Credit Surety Act and the Foreign Ships Co-Loading Act or Amendments to the Cabotage Policy. In the 17th Congress, Sen. Bam has already filed the Senate Bill No. 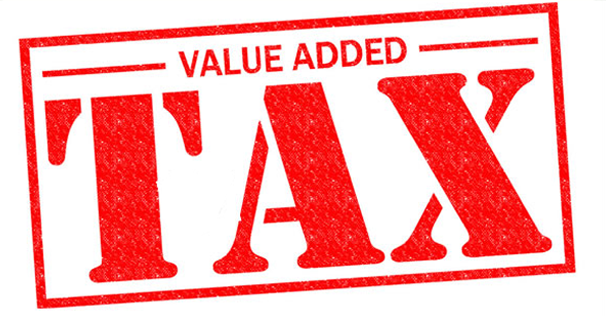 169 or Small Business Tax Reform Act, which provides small businesses with lower income tax rate, VAT exemption and other privileges. Sen. Bam has also submitted Senate Bill No. 170 or Trabaho Center in Schools Bill to create a job placement office or Trabaho Center to assist Senior High School graduates who opt to find employment and help them find those opportunities. In 2013, Sen. Bam Aquino ran with a campaign promise of uplifting lives of Filipino families and fighting poverty through education, employment, and entrepreneurship or the 3Es. In his first three years, Sen. Bam Aquino laid the foundation for the growth of micro and small businesses, improved access to financing for entrepreneurs, lowered logistics costs for imported and exported goods, and ensured the financial literacy of generations to come. During the 16th Congress, he worked for the passage of 14 laws in line with his commitment to the Filipino people. Nine of these laws were aligned with his advocacy to build an effective support network for local business, particularly the micro, small and medium enterprises (MSMEs), and promote ease of doing business. These are the landmark Philippine Competition Act, Go Negosyo Act, Foreign Ships Co-Loading Act or Amendments to the Cabotage Policy, Youth Entrepreneurship Act, Microfinance NGOs Act, Credit Surety Act, Lemon Law, the Customs Modernization and Tarrif Act, and the Department of Information and Communication Technology (DICT) Act. After gathering dust for more than two decades, the Philippine Competition Act was finally enacted into law thanks to Sen. Bam Aquino’s efforts as co-author and principal sponsor in the Senate. Dubbed by Sen. Bam as a “historic, game-changing legislation for the economy”, the Philippine Competition Act or Republic Act 10667 provides a level-playing field for all businesses and penalizes bad market behavior and abuse of dominant positions. The law expected to improve the quality and lower the prices of goods and services by eliminating cartels, and penalizing anti-competitive agreements and abuses of dominant players in the market. The Go Negosyo Act, the first law passed by Sen. Bam in the 16th Congress, mandates the establishment of Negosyo Centers in all municipalities, cities and provinces that will assist micro, small and medium enterprises in the country. “This is a part of our pledge to work for the development of MSMEs to help create jobs and livelihood for many Filipinos and spur the country’s economy,” said Sen. Bam, the youngest senator in the 16th Congress. There are already 200 Negosyo Centers catering to the needs of struggling entrepreneurs in the country, from returning OFWs and carinderia owners to farmers and social entrepreneurs. As chairman of the Committee on Trade, Commerce and Entrepreneurship, he also initiated investigations into the slow and expensive Internet in the country and the congestion in the Port of Manila. The investigation produced several triumphs that will help improve the Internet service in the country, including the much-awaited IP Peering between Globe and PLDT. In the 17th Congress, he is expected to head the Committee on Education, hoping to elevate the quality of Philippine education, particularly in our public schools to global standards so that more young Filipinos can build a brighter future for themselves and their family. Sen. Bam has already filed four education-related measures such as the Free Education in State Colleges and Universities (SUCs), Free Education for Children of Public School Teachers’ Children, Abot Alam, and the Trabaho Center in Schools bills. Even with education on his mind, he continues to push for his social entrepreneurship advocacy and is still building a robust support system for small business with the filing of bills to support Small Business Tax Reform, Startups, and Social Enterprises, among others. Sen. Bam is relentless in his pursuit to fulfill his campaign promise of the 3Es to achieve inclusive growth and help Filipino families overcome poverty. Bilang chairman ng Committee on Trade, Commerce and Entrepreneurship, tutol ako sa pagtaas ng VAT sa 15 percent dahil mataas na ng presyo ng bilihin kumpara sa kinikita ng pangkaraniwang pamilyang Pilipino. Hangga’t maaari, kailangang panatilihin ang mababang presyo ng bilihin at huwag payagang tumaas ito. Pagdating naman sa pangangalap ng pondo, kailangang tutukan ng pamahalaan ang mahigpit na pangongolekta ng buwis at pag-alis ng katiwalian sa Bureau of Internal Revenue (BIR).